Atlantis Rising | NJNA is Blogging! I’m in Southern California taking Ro Pace’s “Atlantis Rising” with the San Bernardino Chapter of ANG. I shared the pre-work with you in an earlier post. 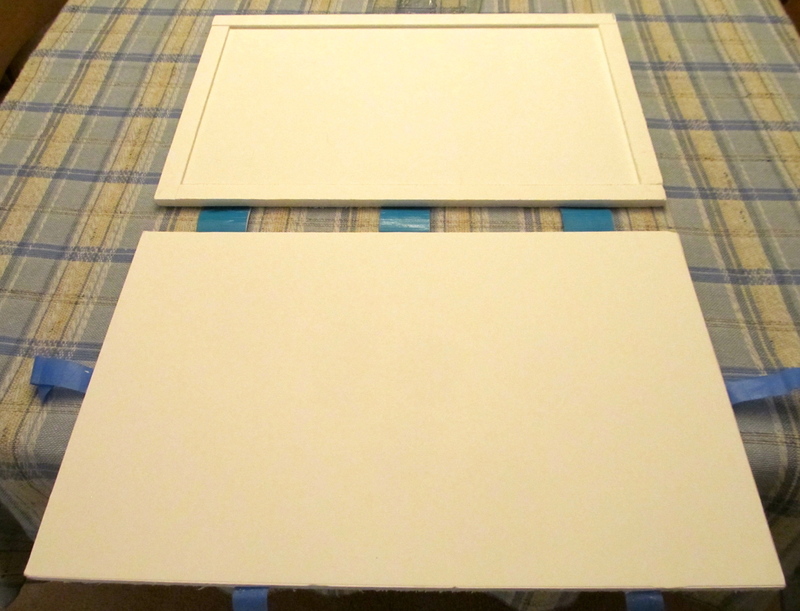 Harold and I fumbled through putting together a carrier for the project and it is working great! I had searched the web for directions for the homemade carrier I saw at the Anaheim seminar, but never found them. Today, however, Diane gave me a copy of the official “Project Safe” directions by Judy Rager! I think this might make a good chapter program for next year! So, I’ve now finished two days of stitching on Atlantis Rising. 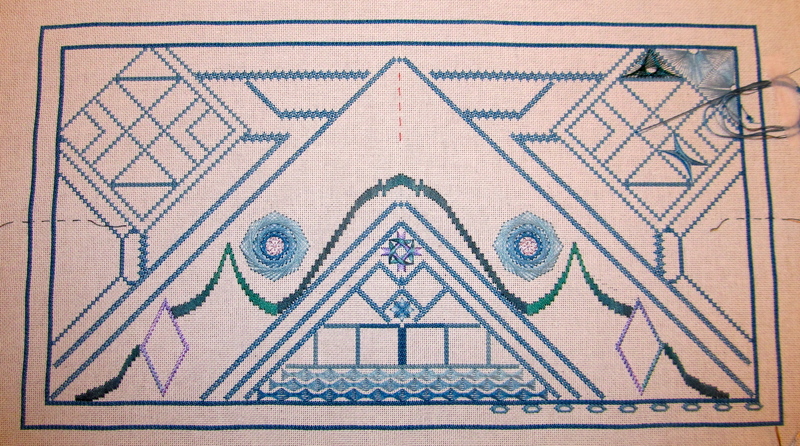 This is a very complicated design with lots of Jean Hilton stitches. I am enjoying the class camaraderie and I always enjoy the Hilton stitches because they cover a large area with only a few stitches! Yesterday, we did Jessicas, Reverse Jessicas, Bargello, and a few Amadeus stitches! Today we did Double Fans, a Walnetto, a Starfle, Crescents, Sprat’s Heads, and Chilly Hollows! Who knew there were so many stitches! Atlantis Rising Progress After Day Two! In addition to the kit, I purchased two possible glass “spoons” to be mounted near the peak of the mountain (although the class has noticed that the current progress makes it look like a Furby with teeth and square ears!). 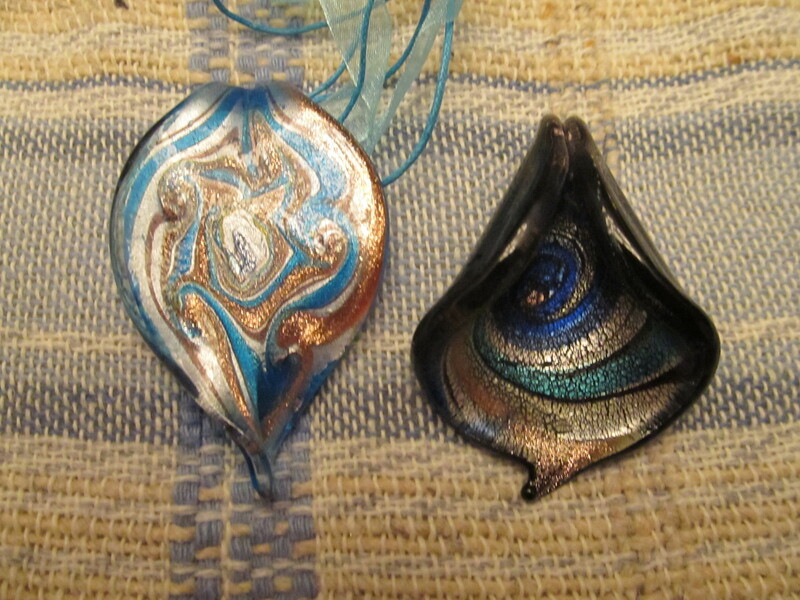 Here are my two possible choices for the “spoon” or I may decide to choose a pendant from my jewelry box at home! I’ve been getting lots of ideas for new programs, new meeting features, and gadgets! I even met someone who regularly visits her friend in Randolph, NJ and who wants to join us for one of our stitching sessions! Beautiful piece. Can’t wait to see it in person. Wow, that’s going to be amazing! I hope you’ll keep posting photos often. Looking forward to seeing it progress.